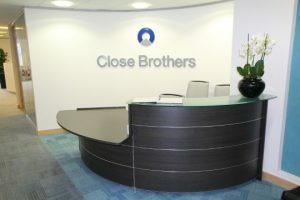 Would you like to review or provide feedback on your experience of Close Brothers Invoice Finance? Reviews are at the bottom of this page and links to some interesting articles and blogs below. It is probably fair to say that if you are looking for a provider of invoice finance there are better options out there in terms of pricing, structure of facilities and customer service levels. Close Brothers Invoice Finance are part of Close Brothers Group Plc and provide invoice finance solutions to over 1,000 clients. They are a national player with full UK coverage. They also offer invoice finance facilities in Ireland and Northern Ireland. They are one of the larger independent invoice finance companies with offices in Brighton, Manchester, Dublin and Belfast. In our opinion, more common complaints about Close Brothers Invoice Finance include their lack of flexibility, charges such as minimum base rates, their arrogant approach and some people have described them as ‘unapproachable’. If you would like to share your experiences of Close Brothers Invoice Finance please feel free to do so but please try to be objective and refrain from abusive remarks.